Grew Up... without stability. Skye never knew her biological parents and as a kid she was constantly moved back and forth from an orphanage (where she was known as Mary Sue Poots) to an assortment of different foster homes. Before joining up with S.H.I.E.L.D., Skye was living out of a van on the streets of New York City. Living... onboard a massive state-of-the-art jet, affectionately known as “The Bus.” It’s just one of the benefits of working as a consultant for the Strategic Homeland Intervention, Enforcement and Logistics Division (otherwise known as S.H.I.E.L.D.). Visiting... just about anywhere. Her alliance with S.H.I.E.L.D. takes her from New York City to Peru to Italy, where she handles everything from collecting mysterious ancient objects to battling nefarious enemies to cleaning up after massive superhero battles. Profession... professional hacker and S.H.I.E.L.D. consultant. Before joining up with S.H.I.E.L.D., Skye worked with a hacker activist group known as The Rising Tide. Joining a government organization (albeit a shadowy one) isn’t exactly a natural next step, but Skye hopes she’ll be able to use S.H.I.E.L.D.’s resources and her impressive tech skills for good. Relationship Status... single. Skye isn’t one to get too close to people. But that doesn’t stop her from noticing her handsome, brooding supervising officer Grant Ward. 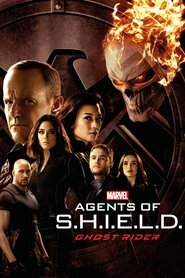 Challenge... adjusting to life with S.H.I.E.L.D. Skye was used to being a lone-wolf activist, so learning to work within a strict bureaucratic system is a bit of a challenge. She’s not really comfortable with things like hierarchy, compartmentalization, or following orders. But she also sees that Phil Coulson and his team are tying to make the world a better place, and she’d like to be a part of that. Personality... independent, resourceful, cynical, sarcastic, and empathetic. Skye hasn’t had the easiest life and she copes by putting up walls to protect herself. She’s often sarcastic and aloof, but she also cares deeply for others and wants to do good in any way she can. Skye's popularity ranking on CharacTour is #312 out of 5,000+ characters. See our top-ranked characters and read their profiles.